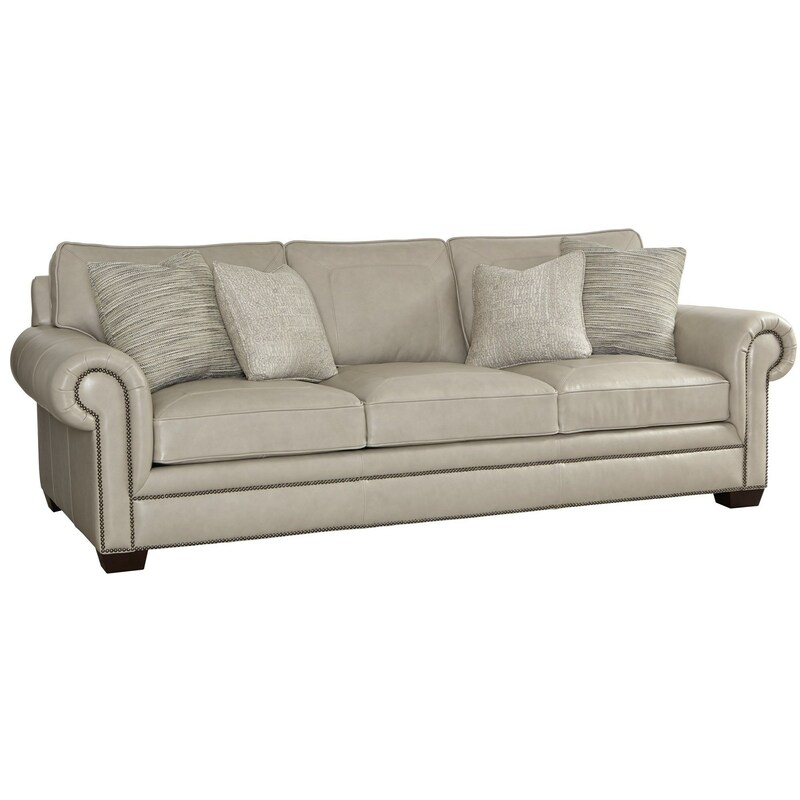 It's easy to play the gracious host with this timeless and welcoming sofa. Its traditional look creates a familiar and inviting space for entertaining and relaxation. The sofa features deep seats and the sink-in support of down-wrapped innerspring cushions. Treat your guests and then treat yourself to top of the line comfort. The Grandview Traditional Sofa with Nailheads by Bernhardt at Miskelly Furniture in the Jackson, Pearl, Madison, Ridgeland, Flowood Mississippi area. Product availability may vary. Contact us for the most current availability on this product. 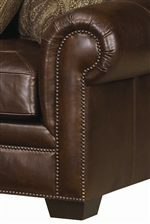 The Grandview collection is a great option if you are looking for Casual furniture in the Jackson, Pearl, Madison, Ridgeland, Flowood Mississippi area.